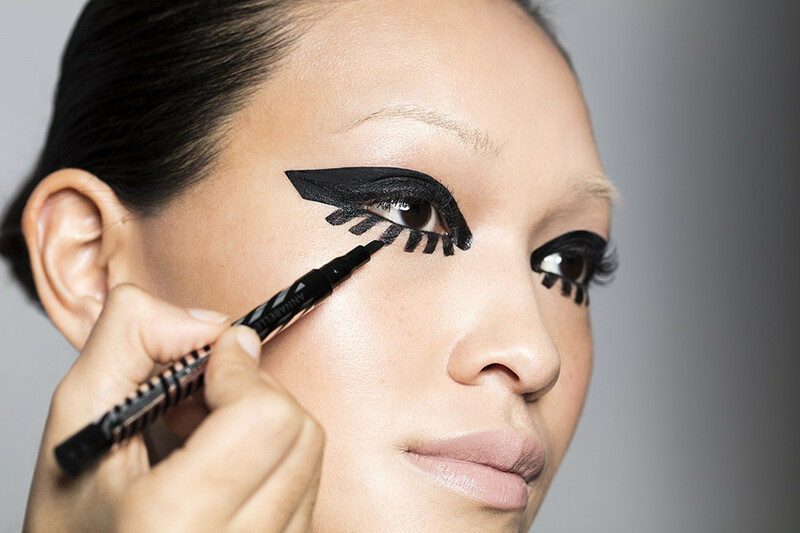 Draw a thick all around winged cat eye using the EyeInk Sharpie. 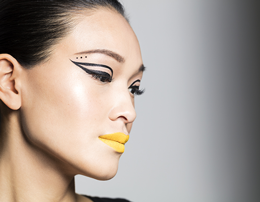 Add bold strokes on the bottom waterline and meet the end of the cat eye. 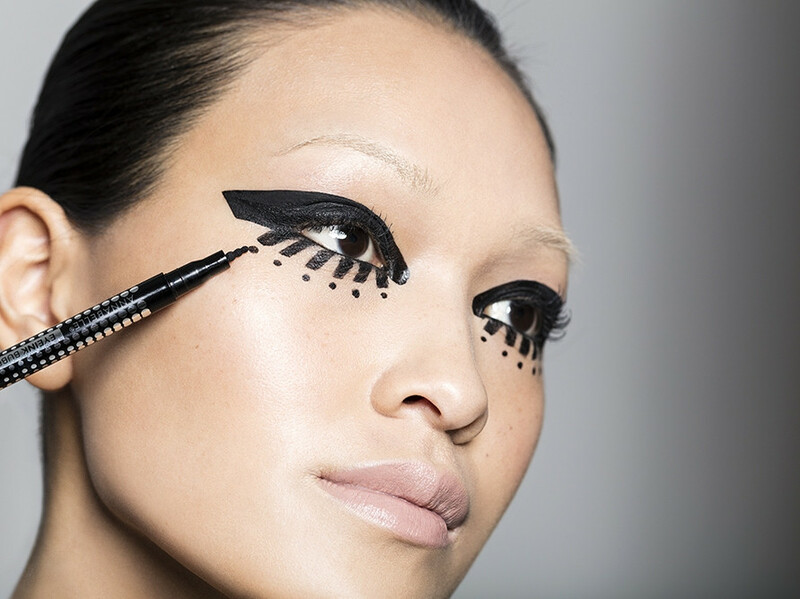 Add dots using the Eyeink Bubble underneath the bottom waterline strokes. Apply the Perfect Cream Blush lightly onto cheeks for a stunning veil of natural color. Then blend with your fingers or beauty sponge.